Many of our merchants face a flurry of incoming GrabOne customers in the months following the Christmas period, all with vouchers gifted to them by their family and friends. They’re the customers who arrive with no expectations, no financial investment, and no plan to return after redeeming their coupon – yet. Word of mouth is one of the most efficient and trusted marketing tools, so creating love between your company and your customers is crucial for your business to flourish. 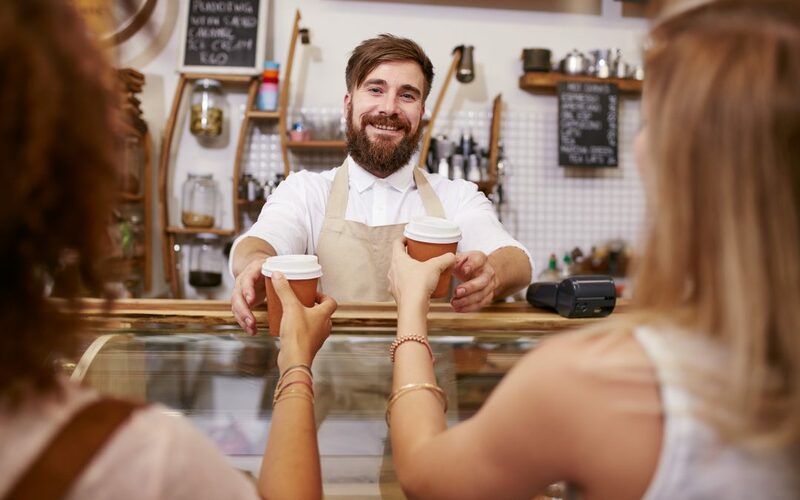 A devoted regular will give you the consistent business you need, and with their wonderful word of mouth, bring in new customers for you to woo and win over. Universally important, customer service is something that affects both your customers and you as a customer in other businesses. Bloody brilliant customer service is something every business needs. People only stay loyal to a business when they’re given a good reason to. The world is full of businesses ready to take customers left, right and centre. Brilliant customer service builds trust with customers, and its the trust they gain in you that is what keeps them with you and stops them from jumping overboard. The importance of good customer service doesn’t just stop at building loyal customers. Building a positive brand awareness comes from having epic customer service. When you give customers a great experience, or make any kind of complaint seem like smooth sailing – they’re more likely to recommend you to someone else. Bad Customer Service + Underwhelmed Customers = A customer who won’t come back. Good Customer Service + Happy customers = A loyal customer who will come back over and over and perhaps bring a pal. Have fun and your customers will too. Pick something that sets you and your business apart from the rest and be proud of it. Personalise your experience for new customers – if you love something, chances are they will too! Think about what you’d expect if the shoe was on the other foot – take a walk in the customer’s shoes to see if what you are doing is the best it can be for them. Listen to your customers – they may not always be right but you’ve got to do your best to make them feel like they are. Have an online presence. Whether it’s a basic website, Facebook page, Instagram or Twitter, customers will always look to find you online. Just a note re one of the deals – re a Wellington electrical company’s promo for two hours of work. They were very reluctant to communicate or to arrange times. After two months of extremely little co-operation I decided they thought the deal was actually a waste of their time so couldn’t be bothered responding. I have requested a refund.